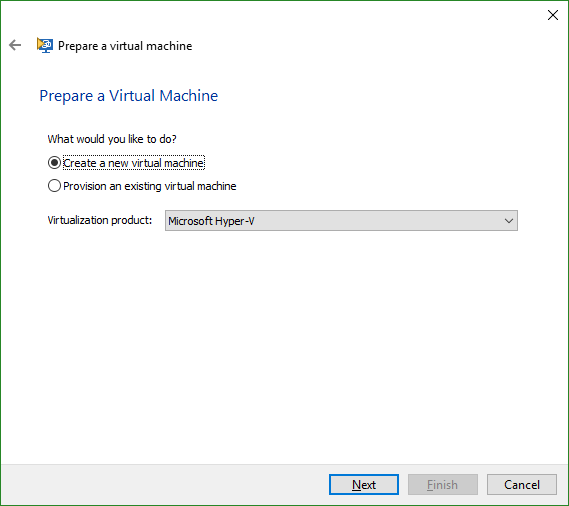 The following tutorial uses options that are available starting with the Enterprise edition and project type. 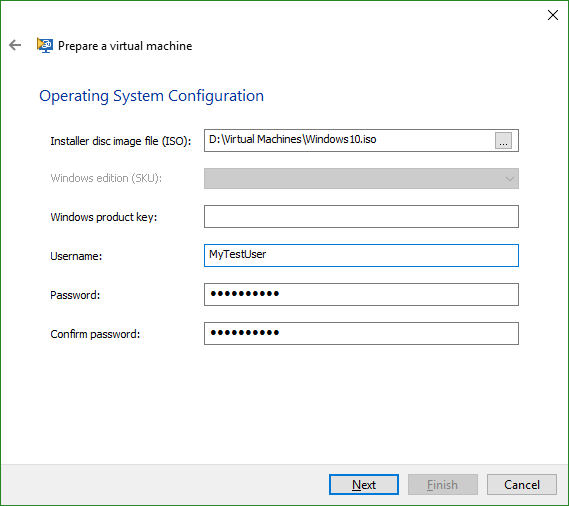 This tutorial helps you create a new virtual machine for testing the installation and automatically installs the operating system on it. 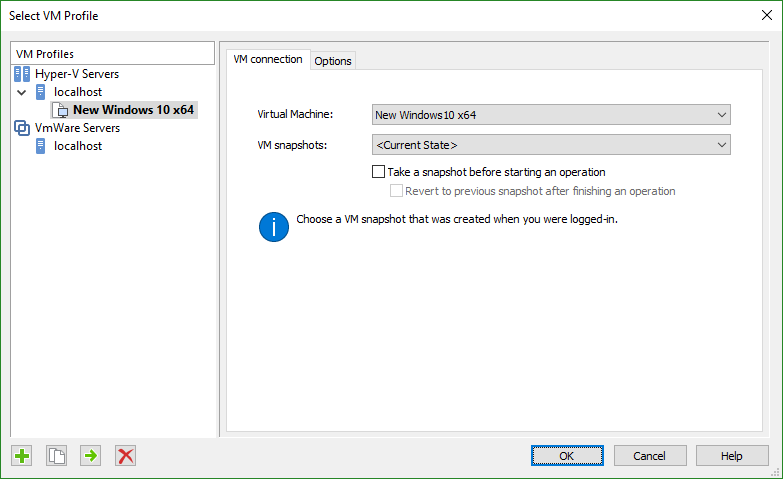 You can use it to create new VMware or Hyper-V virtual machines. 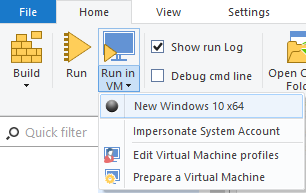 To create a new Enterprise project go to New and choose Installer > Enterprise. 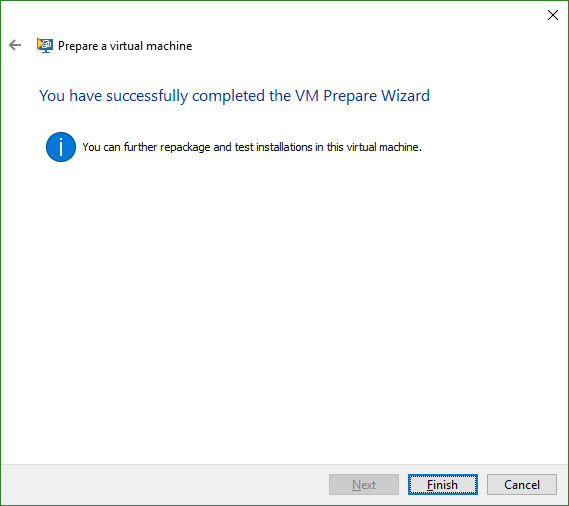 Configure the project as you need and continue with the next step when you are ready to test the installation in a virtual machine. 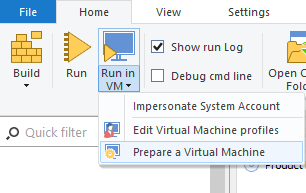 The wizard can be accessed from the [ Run in VM ] dropdown in the "Home tab" from the ribbon. 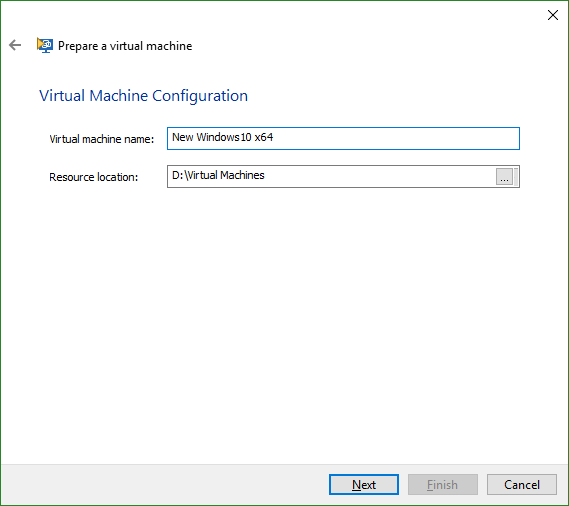 Select to Create a new virtual machine and the Virtualization product you want to use. Specify the machine name and the location where it will be saved in. 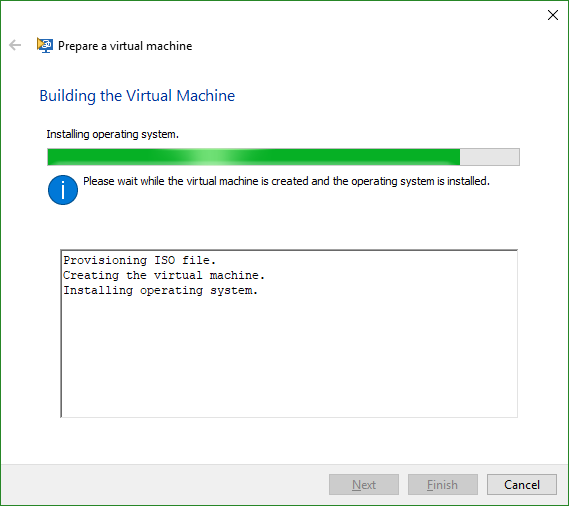 In this dialog, you can select the ISO file of the operating system that will be installed on the virtual machine. 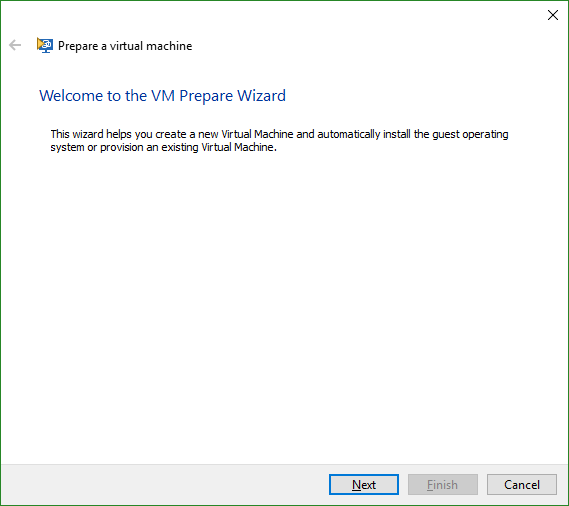 By pressing [ Next ] the wizard will start to create the virtual machine and install its operating system using the provided information. Once the wizard finishes installing the OS, you can inspect it to make sure it's configured according to your testing requirements. When you are ready, press the [ Finish ] button to close the wizard.